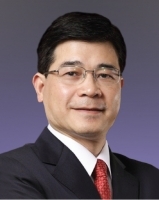 Ir Dr Leung is Founder and Chief Executive Officer of Growgreen Ltd. He is also Founder and Chairman Emeritus of Solomon Systech Limited. Committed to advancing the development of the semiconductor and electronics industry and nurturing industry talents, Dr Leung serves on various committees of the HKSAR Government, industry associations, professional bodies, universities and research institutions. Among the many awards he has received for his outstanding achievements and contributions is the Young Industrialist Award of Hong Kong. He is currently a member of the PolyU Council.